As a business owner, you want to ensure the safety of your employees and customers alike. The trials of winter can make this a more pressing concern, as ice and slippery conditions make falls common. Your establishment may be held liable if someone injures themselves on the premises as a result of your negligence. To avoid filing a large business insurance claim, follow these tips for minimizing winter hazards. A snow advisory notice is your cue to prepare your workplace. Make sure all shoveling and salting of your premises are scheduled before employees or customers arrive. If you’re handling snow removal yourself, apply a layer of ice melt before a storm to reduce your workload and improve traction. Shovel remaining snow to clear walking paths and perform periodic checks of your premises for accumulation. Avoiding business insurance claims in the winter involves more than just shoveling snow. Employees and customers will track in water, so monitor high-traffic areas for puddles. 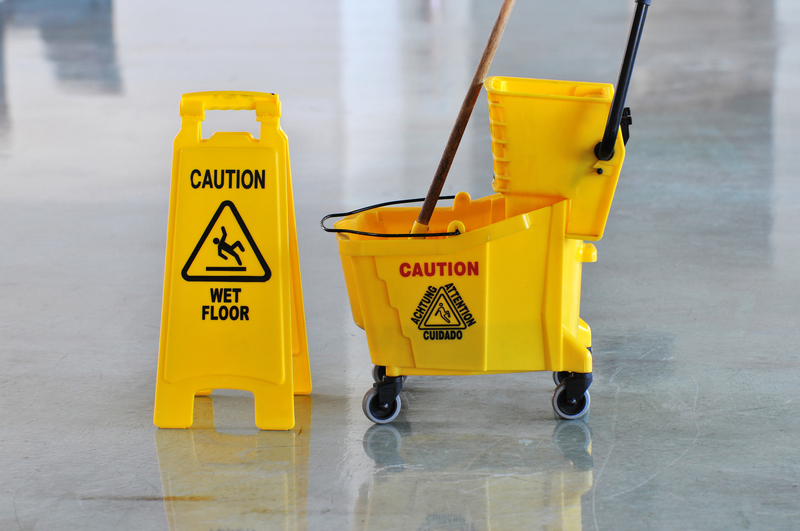 Mark those spots with signage and designate someone to mop the water up promptly. Place water-absorbent mats at the entrance and consider providing plastic bags to keep wet umbrellas from soaking your flooring. You should also ensure there’s proper lighting both inside and out to make wet spots and ice evident. Take a moment to discuss the procedures regarding hazardous conditions in the workplace with your employees. Proper footwear, for example, is a must. Recommend insulated boots for better traction. Make sure your employees know not to run in the workplace and how to walk in a way that minimizes the chances of slipping. The penguin walk, in which you take slow, short steps, keep your arms out to the side, and put your feet shoulder-width apart, is a safe method of traversing slippery conditions. Need business insurance to protect against winter slip and falls? Get in touch with Cundiff & Company Insurance of Somerset, KY. As an independent company, they’ve been providing comprehensive, affordable plans for over 40 years. In addition to business insurance, they also provide homeowners and auto insurance. Get a quote by visiting them online, and call (606) 679-8379 to get in touch.